First of all, we have a flight from Jakarta to Ho Chi Minh with Singapore Airlines. Soon after we arrived at Ho Chi Minh (old named Saigon), we directly went to domestic airport to Hue (1100 km from Ho Chi Minh) using Vietnam airlines. 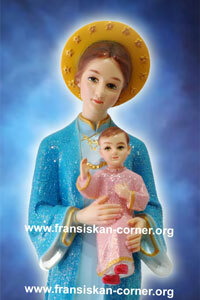 The appearance of mother Mary La Vang in 18th century was being a priority of our destination. La Vang is a holy land which of Vietnamese community of the catholic and it has been acknowledged as national shrine in 1950. This place has become a holy land because the catholic community in Vietnam was being chased, killed, and interrogated by Vietnamese government. Because of that condition, they run and hide in the forest (Banjan tree) which is very humid and many diseases happened such as diarrhoea, malaria, cholera, and etc. At the present time, they spent their time together to pray with rosary every single day. As a result, there is appearance of Mother Mary with Vietnamese traditional dress and also it has happened several times from 1798 to 1803. She give a suggestion to Vietnamese community who are stayed in banjan tree with La Vang Leaf can treat any diseases. As a result, a large of number of diseases which happened in that village was the mother Mary who appeared in the village which distance is approximately 60 kilometres from Hue called Mother Mary of Lavang or Lady of Lavang. Moreover, we have some destination that is interesting such as imperial place of Dynasty of Nguyen, Mausoleum of King Tu Duc in Hue; Ho Chi Minh Mausoleum House and Museum, Temple literature, Ngoc Son and Hoan Kiem Lake in Hanoi(Vietnam); and Golden City Temple (National Museum of Wat Xieng Thong) and Mekong River in Luang Prabang(Laos) . In Luang Prabang, having a mass in some place that is very small and it like guess house. There is a church in Luang Prabang, but it was changed into state of government office. When coming into that place, just only a small number of person who attended a mass in this city. It is hard to have another religion especially for catholic religion because Laos is a communist country and catholic religion is colonial of French religion. Because of that condition, so large number of community in Laos hate catholic religion. In Hanoi, there is a church which located in small village of Tu Phong and it is not too far from Hanoi is Tu Phong-Holy Mother Centre. This church has been managed by Father Nguyen Van Kink. This Father is friendly to many guess coming from especially for Indonesian community. This church has funded by community around that village who are working in overseas such like America, Australia, Germany, etc. This church also has an unforgettable miracle story. There is some worker from government wants to destroy an icon of Mother Mary and it makes a large number of community around that village wants to against it. However, when try to destroy an icon of Mother Mary several times, the bulldozer was not running and the government wants to approve that icon. Finally, Halong Bay (it means descending dragon) was the end of trip. In the last century, this city was place for rescue for Vietnamese community and it has 1969 islands which made form limestone. In this city, there are two tourism sites, sailing around Ha Long bay and visiting Thien Chung Cave. Moreover, this bay was the world of heritage from UNESCO in 1994 and become a seven wonders in the end of 2011. All in Vietnam not Laos…. I’m Sorry if it is a mistake. The problem is , we’re not the authors. as mentioned The Writer is “Mimi”. It is a possibility that she wrote this while or after she had a trip / tours to Laos & Vietnam. So that’s why it is Wrote that way. We shall mention your complaints to her.